The world of transport is advancing and technology is the major driving force. Australia can’t be lagging behind in this movement as their key international, business and community partners are also riding this wave and it will be critical for growing their economy in the future. Transport services connect people to jobs, communities and basic services and in addition to transporting people. Investment in the freight demand has been able to boost the nation’s economy from the farms to major ports. Air freight has continued to grow as demand for prompt delivery increases for items with high-value manufacturing, mining products, perishable food items and urgent medical products. Light passenger vehicles account for over 75% of vehicles on the roads but rail accounts for almost half of freight activity within Australia and the continued automation of rail networks is improving rail efficiency and lowering service costs. Maritime which is another core part of Australia, has served as the backbone of international trade and working within global regulatory frameworks; Policy and regulations are trending towards transit-oriented development and are expected to continue, with the aim of easing the impacts of urban sprawl and congestion. In Australia, the government still primarily owns and finances road infrastructure and assets with all the three levels of government raising revenue for transport-related activities. Beyond moving people or things, transport infrastructure influences the organisation of cities so that labour and capital can be used properly and easily. But the major trend shaping this future is technology. Automation will improve the efficiency, safety, and convenience of the transport services. In the next few years, Autonomous mobile robots will deal with the time-consuming tasks that people do particularly transport within a warehouse or the instant gratification that online shopping delivers. Logistics would soon become a data-based industry where information takes the priority not the transport of the cargo. By 2030, statistics has it that there will be a 50% growth in truck traffic and there is already a 150% rise in containers crossing the country. This has drawn attention to the industry and the committee for Economic Development of Australia has met and discussed the ‘Future of Freight’ where ideas were brought up on how to adapt to the growing freight demand and maximisation of opportunities for investment. Of course, what is needed is a transfer of knowledge and an increase in new workers. Also, this workforce will need to engage with technology confidently as every year, the transport, freight, and logistics industry grows and Australia gains largely from this area. 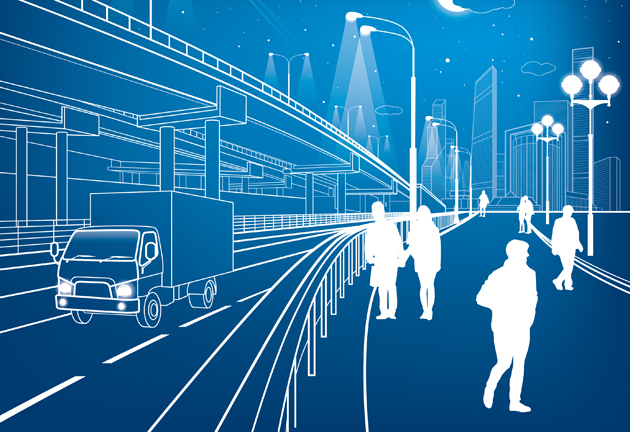 Continued surveillance of geopolitical, economic, global and national trends that impact Australia’s development in the future of transportation is very important if Australia is to become a globally competitive nation. Thanks for reading and we look forward to sharing more next month. Previous PostPrevious Let us help you!